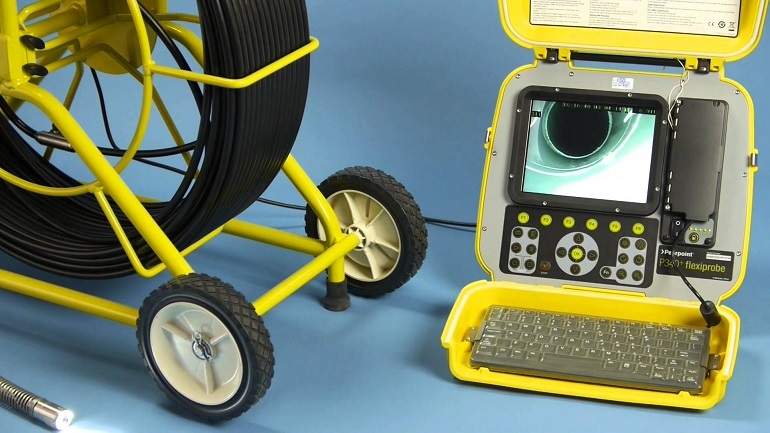 Drain, or sewer inspection cameras, are extremely useful tools that can determine the precise problem within drains and other areas in the sewer industry. It’s a well-known fact that drain and sewer damage can cause serious problems, particularly because they’re not in plain view, and you can’t prevent what you can’t see. That being said, investing in a sewer or drain camera is a great way to save both time and money down the way. Nowadays, there are many high-quality drain inspection cameras that offer a wide range of features that make the job even easier than it used to be just a couple of years ago. For instance, the P340 Pearpoint sewer camera has high-quality video recording, an ultra-bright 8 inch TFT screen, compact flash storage and USB flash drive, an internal lithium-ion battery, etc. The high resolution of the P340 Pearpoint sewer camera features a very rugged stainless steel construction in a compact design. Moreover, it features high resolution sensors and very bright white LED that presents a clear picture even when the camera is placed in water up to 100 metres deep down. It’s also capable of digitally rotating, zooming, and panning, which lets you focus in on problematic areas during both recorded and live inspections. The removable data storage and the fact that it has no moving parts makes sure that the valuable data is well protected against impact and shock. Furthermore, a ruggedised keyboard lets the user record full digital, high-quality videos with the single push of a button. The video is automatically date and time stamped and logged against the task at hand. Additionally, you can capture, inspect and file still photos at any given point by pushing a button. It’s typically accompanied by a 8GB USB storage device which can store up to seven hours of high quality video, which is what makes the camera so powerful and versatile for numerous inspection tasks. You can also record audio and store up to 20 pages of text on the controller module. Lastly, the P340 controller weighs only about 6kgs but it’s designed to operate even in very harsh weather conditions. It’s made of polypropylene housing and the controller module is impact and scuff resistant. Moreover, the weather sealing minimizes water and dust ingress, allowing it to operate at up to 1100kPa of pressure, which makes it ideal for most commercial and residential drain and sewage inspection jobs.